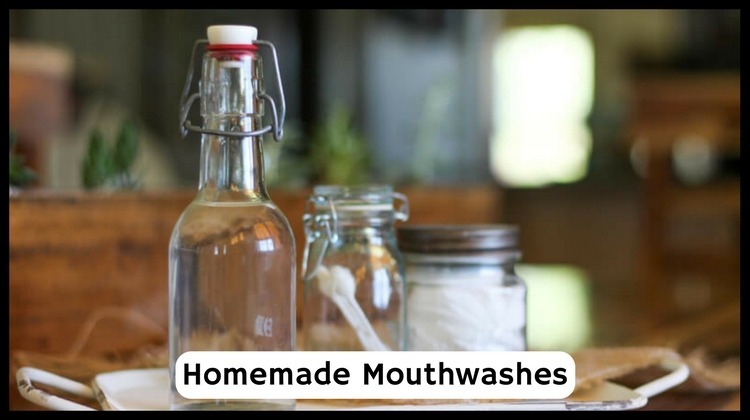 Homemade mouthwash plays a vital role in oral hygiene. Brushing cleans only 25% of your mouth but a mouthwash helps to clean all the areas of your mouth where your brush cannot reach. There are many commercial mouthwash products available in the market. But they share a common list of side effects. For example, excess amounts of mint or alcohol present in a mouthwash dries up your mouth. The best alternative and safe solution is a homemade mouthwash. They don’t contain artificial flavors, sweeteners, and alcohol. Mostly a homemade mouthwash can be made with simple ingredients present in your kitchen. Wondering how? Theseare the best 17 methods of making a mouthwash at home. Cinnamon not only masks the bad breath but also kills the bacteria that cause bad breath. While the fresh lemon juice adds a refreshing citrus scent to it. Ideal For: This mouthwash is especially useful for fighting off bad breath caused by halitosis and overload of bacteria in the mouth. Take a couple of juicy lemons and cut them into halves. Squeeze out the juice completely. Add 1/2 tablespoon of cinnamon powder to it. Pour a cup of boiling water to it and mix all the ingredients thoroughly. Take 2 to 3 tablespoons of this mouthwash and use it to gargle twice a day. The cleansing properties of baking soda help to remove plaque and all other residues stuck in between the teeth. The detoxifying, anti-bacterial and anti-inflammatory properties of tea tree oil fights off gingivitis. Ideal For: This mouthwash is ideal for dealing with periodontal diseases like gingivitis and getting rid of plaque. Pour 1/2 cup of warm water to it. Add 3 to 4 drops of tea tree oil to it. Mix all the ingredients with a spoon. Use 2 to 3 tablespoons of this mixture to rinse your mouth. Repeat gargling twice a day. Note – Do not swallow this mouthwash because it contains tea tree oil that can cause adverse reactions in the body. The combination of peppermint essential oil and tea tree essential oil helps to freshen up the mouth and naturally cleanse the teeth as well as gums. Ideal for: This mouthwash is effective in cleansing stained teeth, reducing bad breath and healing gum infections. Take 2 cups of spring water or distilled water. Add 4 to 5 drops each of peppermint oil and tea tree oil to it. Stir well and store it in a small glass bottle. Take a small sip of this mixture, swish it around your mouth for 30 seconds and then spit it out. The natural acids such as acetic acid and malic acid present in apple cider vinegar destroy the bacteria that cause bad breath. Antiseptic property of apple cider vinegar breaks down the plaque deposits. Ideal For: This mouthwash helps to get rid of bacteria that causes bad breath, cavities and gum infections. It also helps to remove plaque. Add 2 tablespoons of raw, unfiltered and organic apple cider vinegar to 1 cup of water. Mix it thoroughly using a spoon. Take a sip of this mouthwash, swish it in your mouth and gargle with it for 30 seconds and then spit it out. Repeat this process after every meal. Hydrogen peroxide is an effective natural cleanser and disinfectant that helps to whiten teeth and prevent infections from spreading. It also speeds up the healing process of the infection. Take 1 cup of 2% hydrogen peroxide in a bowl. Add 1 cup of distilled water to it. Mix the ingredients with a spoon and store in a glass bottle. Take a sip of this mixture in your mouth. Swish it around and gargle for 30 seconds and then spit it out. Note – Do not swallow this mouthwash because it contains hydrogen peroxide that might have adverse effect on your health. A simple salt water mouthwash helps to reduce dental bacteria by raising the pH balance of the mouth temporarily and creating an alkaline environment that is unfavourable for the bacteria to survive. Ideal For: A salt water mouthwash is effective for relieving gum sores and reducing dental bacteria. Add 1/2 teaspoon of salt to a cup of lukewarm water. Stir it with a spoon so that the salt dissolves completely in the water. Rinse your mouth with this solution twice a day. The potent anti-inflammatory property of aloe vera juice helps to reduce bleeding and soothe the swelling of the gums caused by gum infections. Its powerful antiseptic and antifungal property helps to heal the problems of mouth ulcers. Ideal For: This mouthwash is especially useful for treating gum diseases such as gingivitis and periodontitis. It reduces bleeding and swelling of the gums. Take 1/2 cup each of aloe vera juice and filtered water in a container. Add 2 drops each of peppermint oil and tea tree oil to it. Mix all the ingredients with a spoon and store it in a glass bottle. Pour a small amount of the mouthwash in a cup, swish it in your mouth for 30 seconds and spit it out. You can store the rest of the mouthwash in the fridge and use it the following day. Note – Do not swallow this mouthwash because it contains essential oils that may affect your health. The powerful antioxidant, antiviral and antimicrobial properties of basil help to fight off the bacteria causing bad breath, infections and mouth ulcers. Take handful of dry basil leaves and put them in 200 ml of water. Wait for 10 minutes and then boil the water. Leave it for 15 minutes and then transfer the mixture to a glass bottle. Sip enough amounts of the solution, swish it in your mouth. Gargle with it for 30 seconds and then spit it out. Use this mouthwash 2 times in a day. The antimicrobial properties of coconut oil fight off bacteria that cause infections and helps to improve overall oral health. It also prevents cavities and refreshes the breath. Ideal For: This coconut oil mouthwash is useful for preventing cavities, freshening up the breath and improving overall oral health. Take 1/2 cup of water and add 1 tablespoon of coconut oil to it. Add a pinch of sea salt and 2 drops of peppermint oil as well. Stir with a spoon and store the mixture in a small glass container. Shake the container and sip 2 tablespoons of mixture in your mouth. Swish it around in your mouth for a minute and then spit it out. Repeat this process 1 to 2 times a day. Compound eugenol present in clove possesses powerful antiseptic and antibacterial properties that deal with oral bacteria and protect against periodontal gum disease. It also works as a natural analgesic that helps to relieve toothache. Ideal For: The all-natural clove mouthwash is effective for fighting off periodontal gum disease and curing toothache. Take a tablespoon of whole cloves in a glass bowl. Pour 1 cup of boiling water over the cloves and cover the bowl with a plate. Let the water cool down completely. Strain the clove infused water. 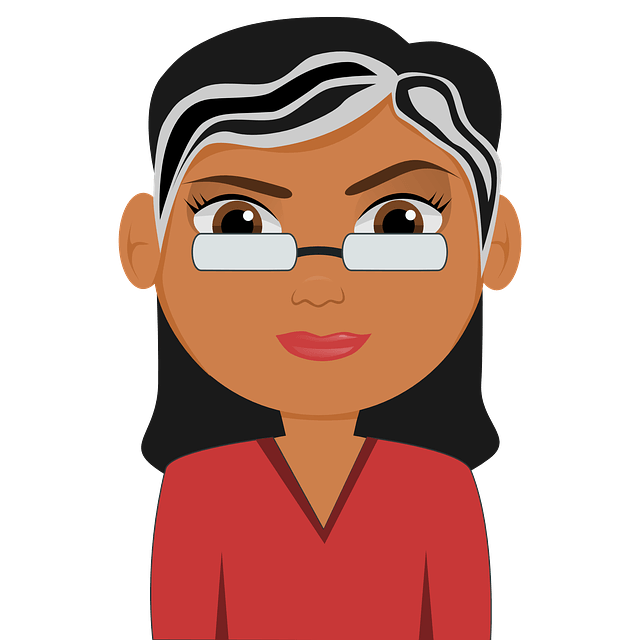 Note – You can also use clove oil instead of whole cloves for this mouthwash. The potent antimicrobial and antiseptic properties of eucalyptus oil speed up the healing process of gum infections and mouth ulcers. The refreshing aroma of eucalyptus oil helps to refresh the breath. Ideal For: This mouthwash is best suited for treating teeth infections, mouth ulcers and bad breath. Take a cup of distilled water and add 1 tablespoon of baking soda to it. Mix it thoroughly and then add 5 drops each of eucalyptus essential oil and lemon essential oil to it. Give it a stir and store this mixture in a small glass jar. Take 2 to 3 tablespoons of it in your mouth, swish it around and gargle with it for 30 seconds. The essential oil of myrrh contains powerful preservative properties that help to prevent tooth decay and cavities. It also contains antiseptic properties that help to heal infections. Ideal For: The Myrrh mouthwash is ideal for treating sensitivity of teeth, preventing tooth decay and cavities. Take a cup of filtered water. Add 1 teaspoon of sea salt, 2 drops each of Myrrh essential oil and clove essential oil to it. Take 2 to 3 tablespoons of this mixture and use it to rinse your mouth 1 to 2 times a day. The antibacterial, antiseptic and anti-inflammatory properties of neem destroys the cavity causing bacteria, breaks down dental plaque and tartar deposits. Ideal For: The neem mouthwash is ideal for providing relief from gingivitis, periodontitis, clearing out plaque and tartar deposits. Take handful of neem leaves and twigs and boil it in 3 cups of water. Continue to boil the water till it reduces to half the quantity. Let the water cool down completely and then strain it. Use this mouthwash to rinse your mouth 2 to 3 times a day. Note – You can also use neem essential oil instead of Neem leaves for preparing this mouthwash. The natural antibiotic, antiseptic, anti-fungal, anti-viral and anti-parasitic properties of oregano oil helps to relieve toothache, gum infections, gingivitis, bad breath, tooth abscess and canker sores. Add 2 to 3 drops of oregano oil and tea tree oil to it. Give it a stir and pour the mixture in a small glass jar. Take 2 to 3 tablespoons of it in your mouth. Swish it around, gargle for 30 seconds and then spit it out. The plethora of potentially active compounds and antioxidants such as carnosic acid and rosmarinic acid in rosemary makes it a potent disinfectant that helps to prevent gum and teeth infections. Ideal For: The rosemary mouthwash is ideal for fighting off bad breath caused by bacteria. Take 2.5 cups of water in a bowl. Add handful of fresh rosemary leaves and mint leaves to the water. Let the mixture boil till the water reduces to half. Strain it and store in a glass container. Use 2 tablespoons of this mouthwash to rinse your mouth and then spit it out. The soothing properties of witch hazel help to reduce inflammation and irritation of the gums. It stops bleeding of the gums and helps to soothe toothache. Ideal For: The witch hazel mouthwash is most effective for relieving gum infections and toothache. Take 1/2 cup of aloe vera juice and add 1/8th cup of witch hazel to it. Now pour 1 cup of distilled water to this mixture and stir with a spoon. Store the mixture in a glass container in the fridge. Pour out 2 to 3 tablespoons of this mixture in a cup. Use it to rinse your mouth and then spit it out. Follow this procedure 2 times every day. Zinc is widely used in oral health care products because of its efficiency against microbes. Antimicrobial properties of zinc fight off different types of bacteria that cause bad breath, gum infections and cavities. Ideal For: The zinc mouth wash is especially effective for fighting off bacterial infections that cause bad breath and gum infections. Take 1/2 cup of distilled water. Add 2 tablespoons of vodka and 1 zinc tablet to it. Allow the zinc tablet to dissolve completely. Store the solution in a dark glass bottle. Add 3 tablespoons of this mouthwash to 1/2 ounce of water. Use it to rinse your mouth every day once in the morning and once at night. Have you tried out any of these natural mouthwashes to get rid of bad breath and other oral problems? Then share your experience with us in the comments sections and let us know which mouthwash worked best for you.